Consumers today have virtually unlimited options for researching and purchasing products, with online sales and new digital channels providing not only transparency into pricing but the actual shopping experience for millions of shoppers around the world. That ubiquity of information has raised expectations and most businesses are having a hard time delivering on. A chief culprit for the challenge in delivering an omnichannel customer experience is the ERP system itself. 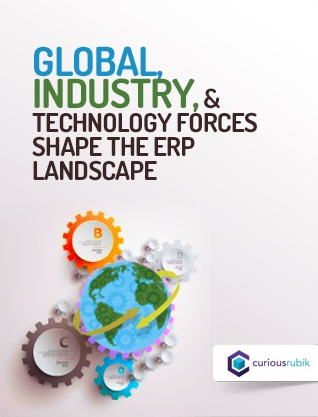 Traditionally, ERP software was built to serve the needs of employees, not today’s consumers, let alone the partners and vendors that are a critical part of any modern enterprise. Today’s customers expect accurate inventory information, cross-channel order history and flawless order execution. These are inherently difficult for the legacy ERP systems from the ‘90s that too many businesses are still running on today. Those systems were designed around departmental processes, rather than around the customer and many of the newer versions of those older systems struggle to cast of the legacy of their origins. When the internet emerged with new platforms to transform the way companies deliver product support and information to customers, most companies just began bolting on ecommerce and content management systems that were disconnected from the system of record. To this day, customer data is still spread across CRM, ecommerce, marketing and multiple systems of record, making it near impossible to reward the most profitable customers, predict demand or ensure repeat business. The answer for many is to spend hundreds of thousands of dollars trying to integrate these separate systems to support their omnichannel ambitions. The results are mixed, with integrations breaking with software upgrades, a lack of real-time visibility as data transfers are done in batches and companies still left with software designed to support employees rather than customers. These companies fail to realize the depth to which the need to redesign their core infrastructure. Every aspect of this infrastructure needs to be evaluated to design around a customer-centric model from the beginning. 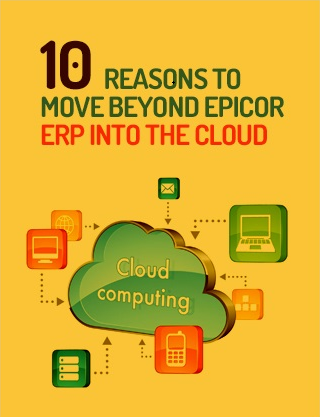 They need to turn the ERP system inside out with the explicit goal of improving the customer experience. Companies that orient around their customers and directly connect demand to a digitally-enabled supple chain will be the long-term winners. Amazon, the prime example, has built its infrastructure to take advantage of global product and price transparency, even dynamically pricing versus competitors. Today, a company no longer needs to physically own a product to sell it on its website. If a retailer knows a vendor has inventory, it can take the order without ever possessing the product. And beyond supply chain efficiencies, there was incredible efficiency from operating at scale. As the businesses grow, the incremental costs associated with demand could be handled with far fewer employees and far lower inventory costs. Visibility into supplier and manufacturer inventory. Responsive, consistently excellent customer service. The ability to track and evaluate customer buying histories, behaviors and preferences. Customer profiling and product recommendations for better targeting. Customer self-service through low-cost online portals. What started as a challenge for B2C companies is now manifesting in the B2B world. B2B customers that have seen the ease of use, visibility and real-time information provided in the B2C world, couple with a new generation of employees that knows no other way, are forcing B2B companies to reimagine their own processes. Delivering the best customer experiences requires wholesale changes: in organizational structure, in culture and in IT systems. It requires a more modern infrastructure built around the customer. A modern infrastructure is an investment that will pay off in the years and decades to come. But finally, the ultimate goal is within reach: give customers a personalized, relevant and consistent experience across every channel. For more on the power of building ERP around the customer, download the white paper Customer Commerce: Turning Your ERP Inside Out.